Out Now on Steam Early Access! Beat Hazard 2 - Gameplay Powered by YOUR Music! 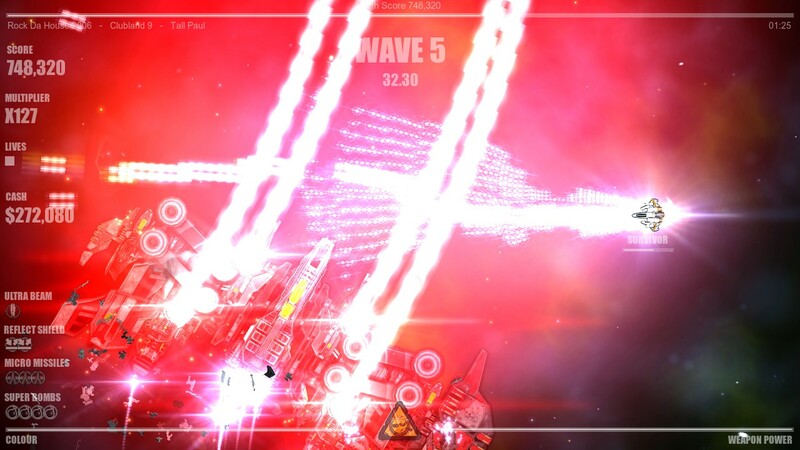 Experience your music collection as never before with this intense music driven arcade shooter. Each of your songs will have its own unique ebb and flow based on the music. Beat Hazard 2 seamlessly mixes the love of gaming and music. Together they become greater than the sum of their parts. 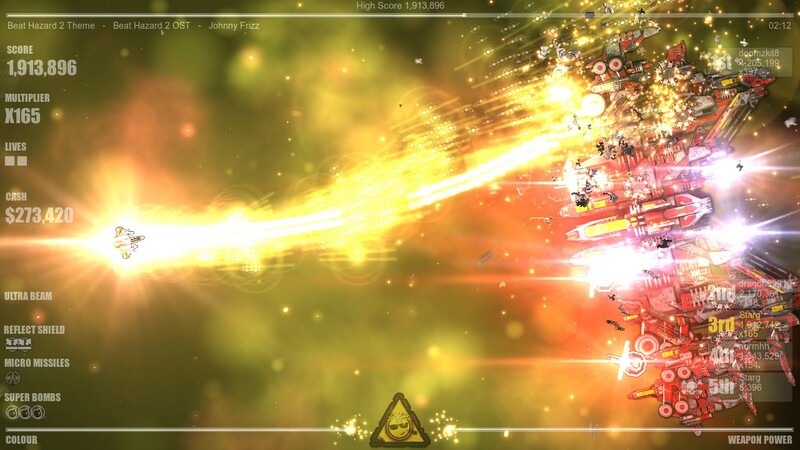 Beat Hazard 2 improves on and ramps up the awesome zen feeling of battling to your own music. 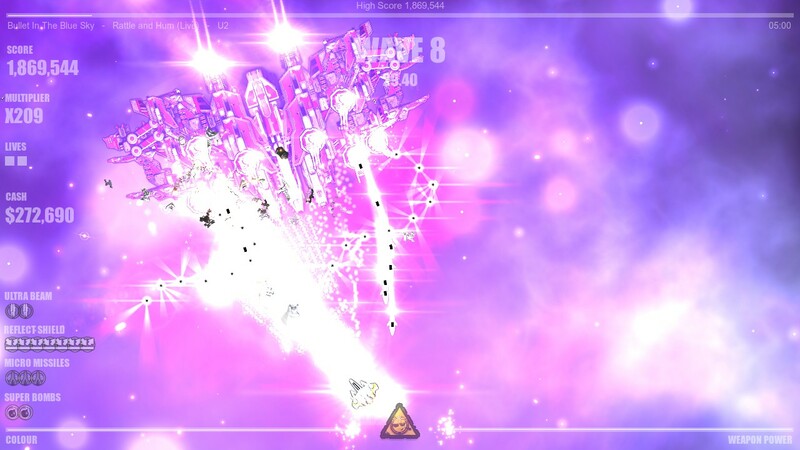 Power up your spaceship and watch as the music boosts your firepower. 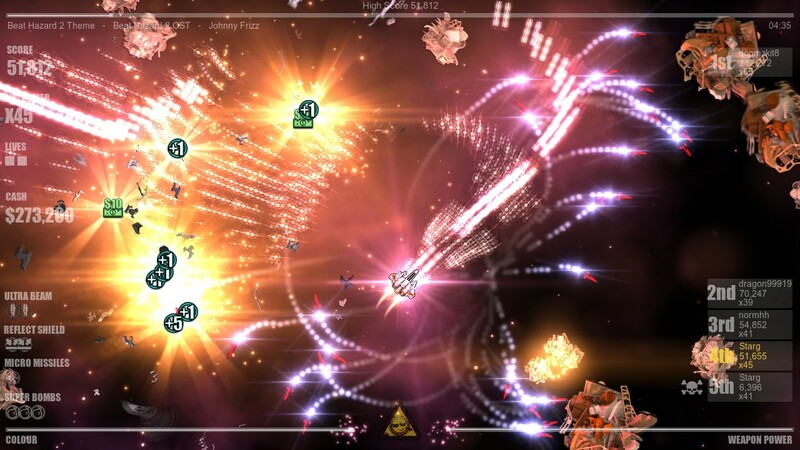 Unleash hell on the enemy ships when you max out with weapon pickups! 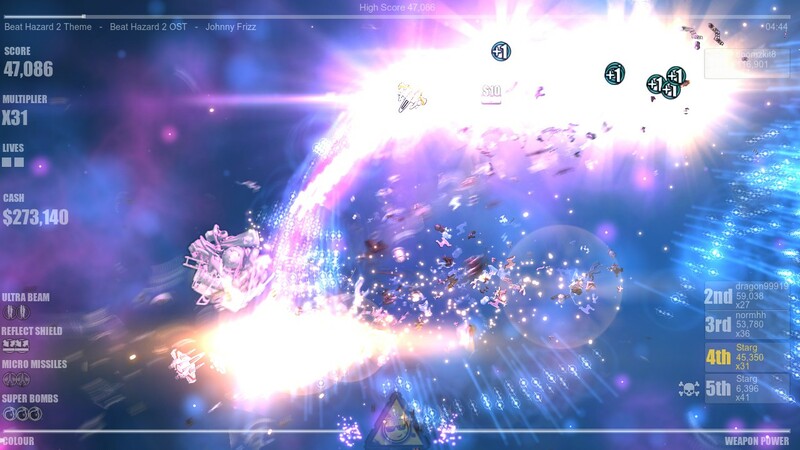 Pushing the boundaries of music powered gameplay, the sequel will include procedurally generated boss ships. 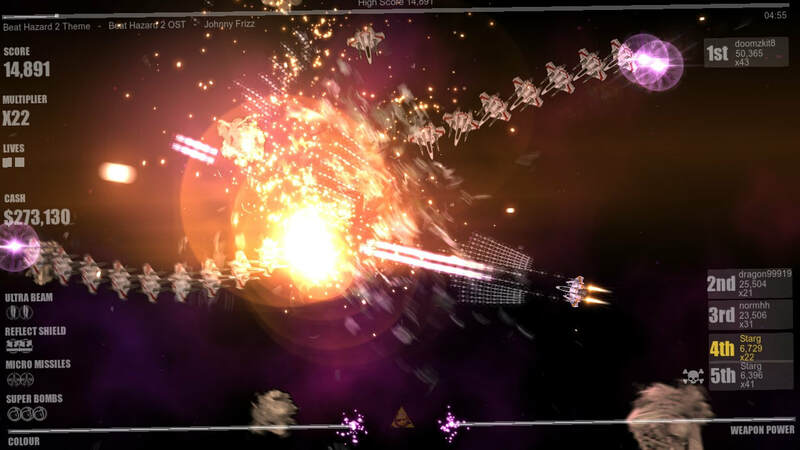 Each track will create a unique archenemy ship for you to vanquish. Premium music streaming services will be supported via an 'Open Mic' system that can listen in to any music source. Now the music world is your oyster, play to Spotify, Amazon Music, Apple Music, YouTube, or any other provider!